Dr. Tanya Lowrey grew up in Niagara on the Lake and currently lives in St. Catharines with her husband, daughter, 3 cats (Piper, Juno and Sami) and 2 dogs (Shelby and Bella). Her love for animals is obvious, she will go above and beyond to ensure all animals are treated with compassion and love. Dr. Tanya joined Huntington Animal Hospital in 2010 and became an owner in 2012. Dr. Tanya graduated from the University of Guelph in 2005 with a Master of Science Degree in Human Nutrition and Exercise Physiology. Upon graduation, she was accepted to the Ontario Veterinary College and completed her Doctor of Veterinary Medicine in 2009. Dr. Tanya began her career working at the Niagara Veterinary Emergency Clinic where she gained valuable experience caring for animals in an urgent and critical care setting. She now commits herself to continuing education and is currently practicing acupuncture and rehabilitation at Huntington Animal Hospital. 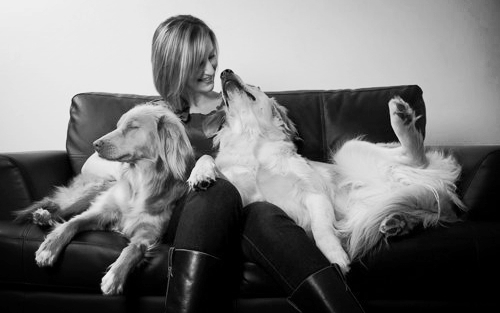 Dr. Tanya spends her free time walking her dogs, practicing yoga, running and rescuing animals. Dr. Geoff was born in Oakville and graduated from the University of Guelph with a Bachelor of Science degree in Biomedical Science in 2012. He then continued his studies at the Ontario Veterinary College (OVC) and graduated from the Doctor of Veterinary Medicine (DVM) program in 2016. Upon graduation he began working at Huntington Animal Hospital. 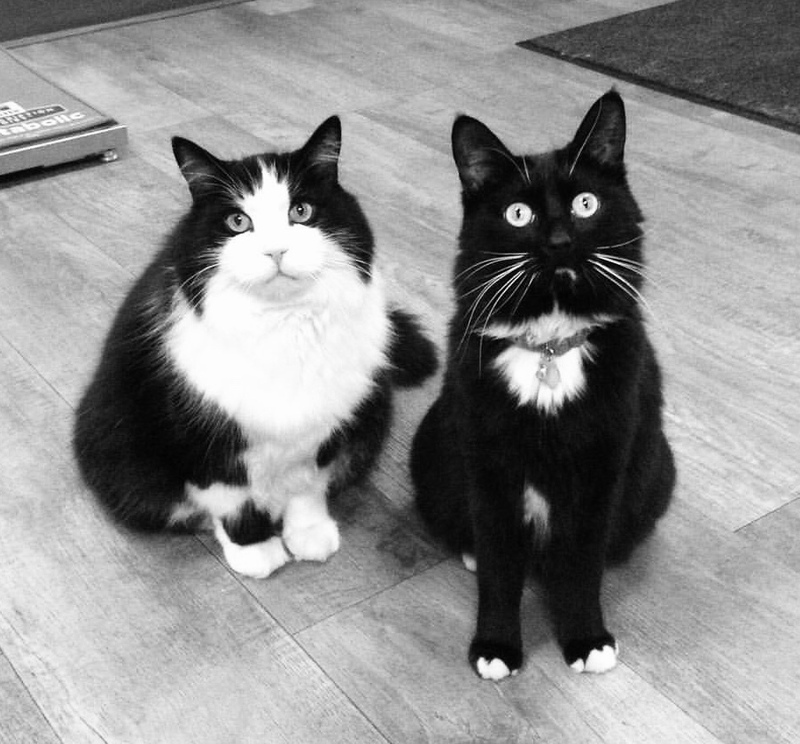 Growing up in a strict cat-only household, Dr. Geoff had a deep bond with his childhood feline friends, and would also cherish any time spent around dogs of friends. Initial post-secondary plans did not involve veterinary medicine, but a part-time job at an animal clinic soon changed his direction and now he could not imagine doing anything else. Dr. Geoff most enjoys the relationships he forms with other dedicated pet owners, and helping in the hardest times for our trusted companions. In his spare time he enjoys playing and watching both hockey and baseball, and exploring the Niagara region with his golden retriever, Bindi. His presence is also tolerated by an orange cat named Garfield. Professional interests: small animal dentistry, preventative medicine, and soft tissue surgery. Dana attended Seneca College and graduated from the Veterinary Technician program in 2006. Her career began in large animal medicine at the Fort Erie Race Track and small animal emergency medicine at the Niagara Veterinary Emergency Clinic. 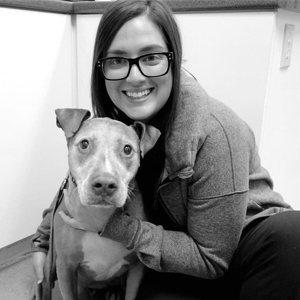 Dana joined the Huntington Animal Hospital team in 2014. Dana has always had a passion for animal welfare, when she isn’t working full time at Huntington Animal Hospital she can be found caring and advocating for the shelter animals at the Lincoln County Humane Society. Dana shares her home with her Bichon ‘Benny’. Kristin graduated from the Veterinary Technology program at Seneca College in 2007. After graduation she moved back to her home town of Fort Erie to begin her career. After five years of experience, Kristin joined the Huntington team in 2012. Her contagious smile and caring personality help make Huntington Animal Hospital a lovely place work. Kristin and her family share their home with a rescue dog named Chance. When not at work, you will find Kristin outdoors! John has been working in veterinary clinics for 21 years. He graduated as a Registered Veterinary Technician in 2004. John has spent most of his veterinary career working in emergency and specialty medicine. Prior to joining Huntington Animal Hospital in 2016, he was working at the Mississauga Oakville Veterinary Emergency Hospital in the ICU and Internal Medicine departments. John is our resident ‘dog whisperer’ and handyman! 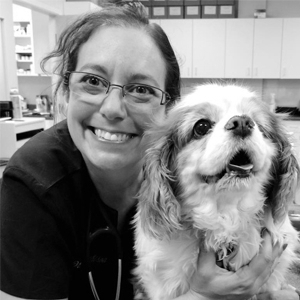 Holly started off in the Veterinary field as a kennel attendant in 2008. She moved to Ottawa in 2009 where she spent several years working as a Veterinary Assistant at a Veterinary Emergency and Referral center. She graduated with distinction from the Veterinary Technology program at St. Lawrence College in June of 2017 and achieved her RVT status in July of 2017. She completed her Vet Tech co-op placement here at Huntington in March of 2017 and began working for us in April of 2017. She lives in Niagara-on-the-Lake with her pug Optimus and rescue cat Fergie. Melanie joined the Huntington Animal Hospital team in 2010. She enjoys getting to know clients and their pets and keeping things organized. She lives with her fiancé Cliff and their two dogs Rosie (bully mix) and Bruno (French Bulldog). In her free time she likes going for hikes, reading and spending time with family. Sarah has been working with animals since she was 15. 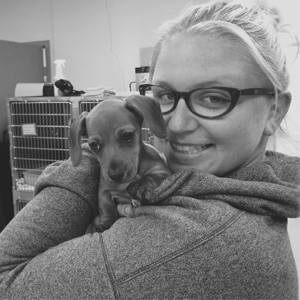 Sarah joined the Huntington Animal Hospital team in the spring of 2015. Her love for animals started at a very young age. She loves connecting with clients and their furry family members and she couldn’t imagine working anywhere else. She currently lives in St. Catharines with her fiancé Steve and their best friend Whiskey, a fun and very loving puggle. In her spare time, she enjoys the outdoors, yoga, travelling, and spending time with her family and friends. COPYRIGHT 2015. HUNTINGTON ANIMAL HOSPITAL. ALL RIGHTS RESERVED.